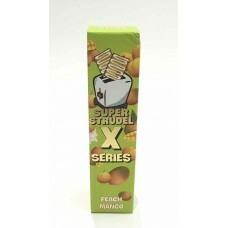 Blueberry eLiquid by Super Strudel is part of the X Series range from Beard and is a dessert themed .. Your favorite toaster pastry filled with Mango & Peach smothered with icing.. Strawberry Strudel by Super Strudel is not only fun to say, it's your favourite Toaster Pastry fille..